A vibrant hotel, Sunrise Village Hotel Plantanias Crete, is flanked by green space and is just a 13-minute walk from the famous Platanias Beach on the Sea of Crete. 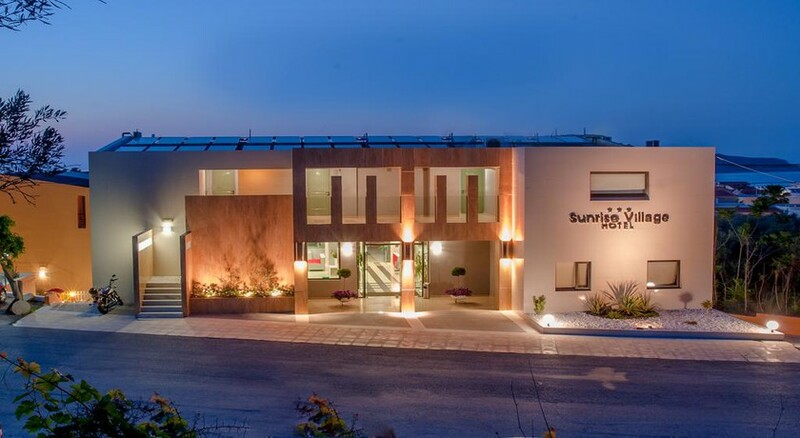 Sunrise Village Hotel Platanias Crete is also just 4 km from the highway E65, making it a very easily accessible destination for the tourists. One can find bright and spacious rooms here and a lovely outdoor pool. A pool bar and a streamlined restaurant are some of the other facilities here. Guests can take lazy strolls at the beach here or travel to the Chania city just 12 km from here. Sunrise Village Hotel Platanias Crete has a mini-market on site and the hotel arranges for airport shuttles. A great place for families seeking some holiday time together, this one is one of the most sought after properties. 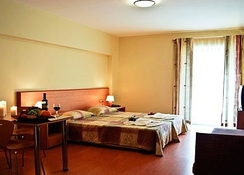 Sunrise Village Hotel Platanias Crete is set at 4 km from the highway E65. Guests can visit the city of Chania situated at 12 km from here. The beach is right next to it at 55 meters. Guests can stay connected with the free Wi-Fi facilities here. The studio rooms are quite bright and airy. 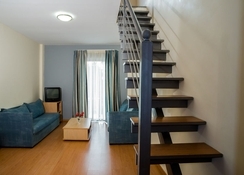 One can find satellite TV, balconies and free Wi-Fi in the rooms along with kitchenettes and also pull-out sofas. Some rooms offer sea views. 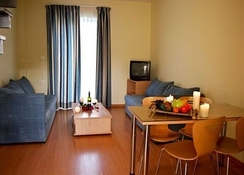 Some apartments add living areas. Spacious maisonettes here are thoughtfully designed. There is a separate sitting area in all the rooms. The casual restaurant at Sunrise Village Hotel Plantanias serves delicious meals and exotic drinks in buffet style. A pool bar keeps you hydrated while soaking in the pool. A bar at the restaurant here serves choicest drinks. Gluten-free options are available. The staff arranges for BBQ facilities for the children. On the recreation front, there is an inviting outdoor pool at Sunrise Village Hotel Plantanias. The hotel provides beach towels to the guests at an extra charge. Regular entertainment is arranged for the guests by the staff. There is a kid’s pool here too. Themed dinner nights, evening entertainment and dance performances are arranged for the guests.